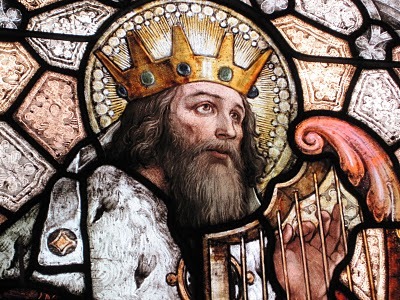 If the Bible were a novel, David would be a complex character. But his is a true story. There are few men in history about whom we know so much. We know what he prayed about, sang about, and worried about. And we know what he did, the good and the bad. There was the Bathsheba thing, obviously. And taking Michal back from Paltiel. And Abigail, Nabal’s widow. We know what David wanted and it was not always good. Then killing Uriah. Lots of taking and killing in this story. And then Absalom estranged. Yet David was called a man after God’s own heart. Even a cursory reading of the Psalms shows why. We see a man of deep passion and faith who rested finally in the mercy of God. There is no such thing as private sin, however. After Uriah, the king is troubled, indecisive, ineffective. He is surrounded by intrigue, rebellion, and sorrow. David’s sin had very public consequences. But are we not all murderous, lustful kings? Our animosity is murder without opportunity or means. Our appetites are guarded lusts, motivating almost all our thoughts. We spend our waking moments trying to bend the world to our own designs. Thankfully, our merciful God does not publish our passions. But he did David’s. And when we get to Psalm 51 we find the truth that David knew. Our sin is always against God Himself whose holiness exposes us and makes us weep.